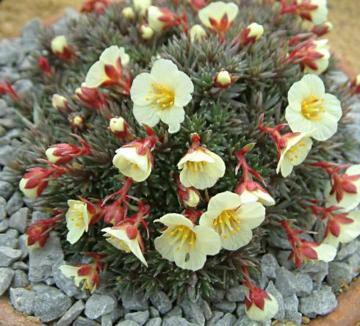 Small, domed, cushion-forming alpine with tight rosettes of grey-green, spiny leaves. Yellow flowers on short red stems in March and April. Very attractive. Very sharply drained alkaline or neutral soil in full sun. Avoid excessive winter wet.